This free online resource revises and improves on the iconic 'Strength in Numbers' and 'Breaking the Maths Barrier' teaching resources. It includes many new ideas, activities and student practice exercises, which can be used in a range of settings. Consumer Affairs Victoria produced a number of free resources called Consumer Stuff that have an applied learning focus using real-life scenarios. There are free teacher resources in the areas of Maths, English and Commerce alongside Health and Wellbeing and Consuming Planet Earth. Download the pdfs from the Teacher Resources page. Note: If you are a numeracy/maths teacher, also look at Commerce, Health and Wellbeing and Consuming Planet Earth as they have great, real-life based activities. These 11 units combine different aspects of road safety with literacy, numeracy and generic skills such as problem solving and working in teams. Each unit contains activity outlines with comprehensive guidance to teachers, worksheets and assessment record proformas. SAFE-T1: This website has a range of information and activities (online and print based) about workplace health and safety. A number are designed to develop literacy skills. BBC Skillwise:Literacy, numeracy, games, learners’ stories and much more. http://prevet.net.au/: 18 flipping book magazines, with more than 50 Indigenous role models talking about their jobs and the literacy and numeracy they need to be successful in their job, plus an additional three sessions of support resources including quizzes, games and activities for students to practise. http://nodes.net.au/: More than 50 ‘slide decks’ building literacy and numeracy around hospitality and tourism Certs I & II. Mostly in context of the Northern Territory. Top Drawer Teachers is a free online resource developed by the Australian Government Department of Education, Employment and Workplace Relations (DEEWR). The resource includes fractions, mental computation, patterns, reasoning and statistics. A repository of the Industry Skills Councils’ literacy and numeracy resources. Another ISC central repository of resources to support the development of VET practitioners and other providers can be found here. For a good report on LLN and industry see the No More Excuses Report. Numeracy in practice – building workplace numeracy skills of vet practitioners. Numeracy in Practice is a free professional development resource developed by Oggi Consulting to support the development of practitioner numeracy skills and numeracy training. Foundation Skills Guides for Agrifood Units of Competency include a bank of units covering the six 'foundation skills' of Learning, Reading, Writing, Oral Communication, Numeracy and Digital Technology. These units can be imported into vocational qualifications to support learners to build foundation skills specific to the qualification they are undertaking, or the job role. The Victorian Applied Learning Association (VALA) is the peak organisation for applied learning practitioners. The website includes a resources section available to VALA members. Taking the lead is a resource developed by the Service Skills Australia Industry Skills Council that provides information and advice on developing core language, literacy and numeracy (LLN) skills in the service industries. Skills for Life Resources provides a wide range of resources (from the UK) that have been developed for use in LLN and ESOL contexts. Making the Connections is a Manufacturing Skills Australia industry skills council resource that supports the use of the Foundation Skills Training Package to integrate LLN into training. See also Putting the Jigsaw Together – Numeracy Resources for VET Trainers. ‘Hands-on Maths in Practice’ by Ian Forster et al. Pearson Education Australia, 1997. ‘Access to Prevocational Maths’ & ‘Access to Prevocational Maths 2’ by Sue Thomson & Ian Forster. Pearson Education Australia, 2006 and 2007. ‘Maths Skills for Living’ & ‘Maths Skills for Working’ by Anne Vize, Phoenix Education, 2005. ‘Real World Maths - Building skills for diverse learners’ by Anne Vize, Banksia Publishing, 2013. ‘The Language of Maths (Secondary Level)’ by Lauris Weber, AEE Publishing, 2003. (available from: Multifangled, MAV, AAMT and ACER). The games and activities in this book focus on the development of fundamental maths skills through co-operative group work and the use of hands-on materials, as well as on enjoyment and having fun in order to build confidence and overcome maths anxiety. Car Costs is a workbook on the topic of cars and road safety (available from Multifangled, ACER and MAV). Video Education Australasia (http://www.vea.com.au/) have a range of DVDs available, including: ALGEBRA: A Piece of Cake!, Algebraic Notation- Maths as a Foreign Language, Into the Negative Zone!, Let’s Get Straight: Linear Equations and Their Graphs, Life by the Numbers series, and more. Thinking beyond numbers: Learning numeracy for the future workplace by Beth Marr & Jan Hagston (2007). Ideas that work is an online library of free LLN training and professional development videos. Community Services and Health Industry Skills Council Foundation Skills have produced 14 short video clips that reference foundation skills, seven of which provide useful strategies for VET practitioners in identifying skill requirements in the CHC sectors and addressing them. Numeracy in Practice is a free professional development resource to support the development of practitioner numeracy proficiency skills and numeracy training. These resources were developed by Oggi Consulting and funded by the Australian Government. Building Strength with Numeracy revises and improves on the iconic numeracy resources 'Strength in Numbers' and 'Breaking the Maths Barrier', and other 'tried and true' numeracy teaching resources developed by Beth Marr and other experienced numeracy teachers. The new resource is a collection of activities that builds on and updates elements of the previous resources, as well as including many new, previously unpublished ideas, activities and student practice exercises. The resource is accessible online for teachers to use in a range of settings. Having Fun with Maths: Activities and Games for Developing Maths Language and Skills by Dave Tout, published by Multifangled P/L, is available from Multifangled, MAV, AAMT and ACER. The games and activities in this book focus on the development of fundamental maths skills through cooperative group work and the use of hands-on materials, as well as on enjoyment and having fun in order to build confidence and overcome maths anxiety. Teaching Maths in Context, published by ACER Press and written by Dave Tout and Gary Motteram, argues the case for teaching maths in context and outlines different options and strategies for teaching maths and numeracy in real life contexts. 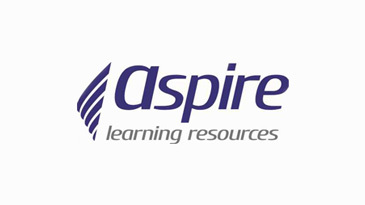 Skills for Life Resources provides a wide range of resources (from the United Kingdom) that have been developed for use in Language Literacy and Numeracy (LLN) and English for Speakers of Other Languages (ESOL), including embedded resources, which are designed to address LLN skills within vocational contexts. Making the Connections is a Manufacturing Skills Australia industry skills council resource which supports the use of the Foundation Skills Training Package to integrate LLN into training. Consumer Affairs Victoria offers free resources called Consumer Stuff that have an applied learning focus using real-life scenarios. There are free teacher resources in the areas of Maths, English and Commerce alongside Health and Wellbeing and Consuming Planet Earth. Visit http://www.consumer.vic.gov.au/resources-and-education and follow the link to the Teacher Resources page where you can download the pdfs. Note: If you are a numeracy teacher, don’t just look at the Maths book, look at Commerce, Health and Wellbeing and Consuming Planet Earth as they have great, real-life activities. Top Drawers Teachers is a free online resource developed by the Australian Government Department of Education, Employment and Workplace Relations (DEEWR).The resource includes fractions, mental computation, patterns, reasoning and statistics.